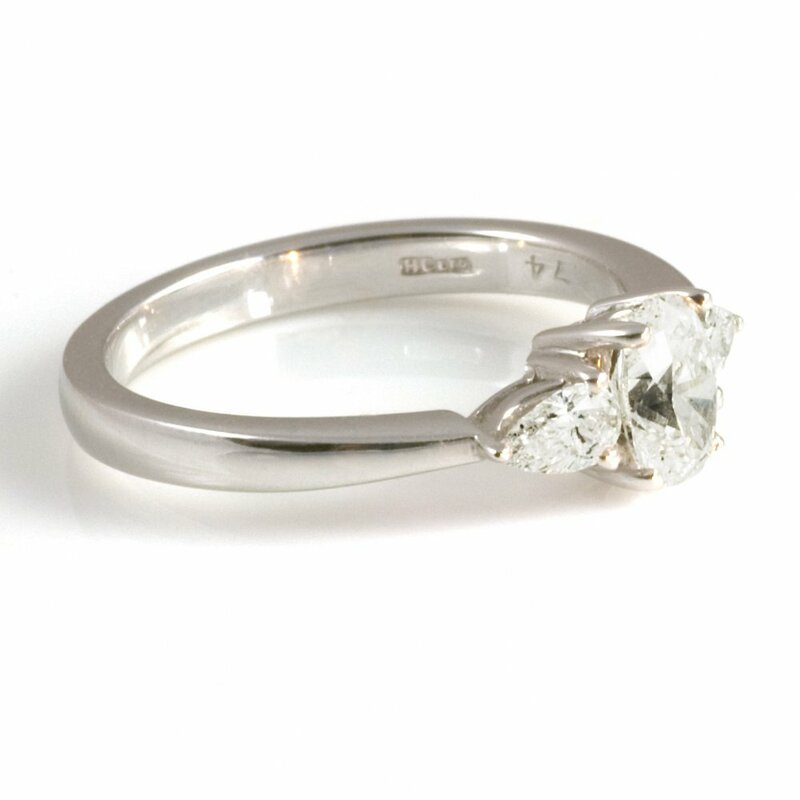 A single sparkling oval diamond is set between two beautiful pear shaped diamonds. All the diamonds are claw set in platinum. The ring has a polished finish and a real show stopping air of brilliance to it.